I get a lot of players asking me how to hit a wide slice serve. Which is a great question. 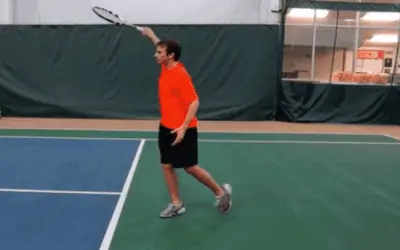 Because I believe the wide slice serve is one of the most overlooked, but effective shots in all of tennis. Especially for a righty. 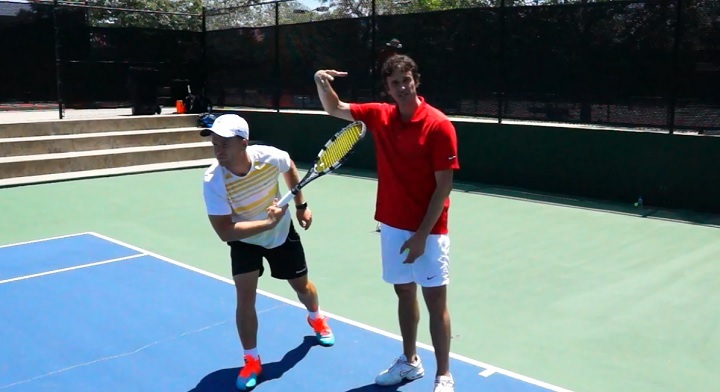 Everyone talks about the lefty wide slice, used by all-time greats like McEnroe and Nadal. However, the wide slice serve in the deuce court for a righty can also be a devastating weapon. This is a shot that Roger Federer uses a lot to draw opponents off the court, and it often results in a clean ace. 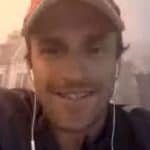 So, are you ready to discover how to hit a wide slice serve? Well, here’s a few pointers I suggest you try out. When you step up to the baseline for your wide slice serve, try pointing your feet slightly more towards the net. 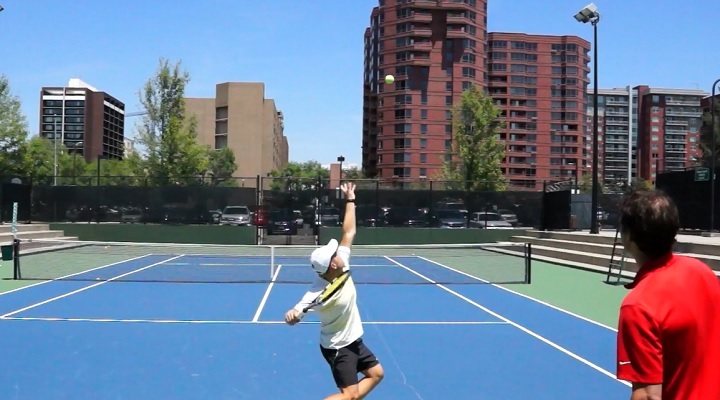 One tip that many players who want to know how to hit a wide slice serve don’t consider, is to stand further from the center T.
You may think that standing out wider will give away your disguise, and broadcast to your opponent that you’re about to hit a wide slice serve. However, standing wider can be a huge help when hitting a wide slice serve, because it gives you a much better angle to aim at. If you stand out wider you will be able to hit that nasty slice on the sideline that your opponent will have trouble reaching. 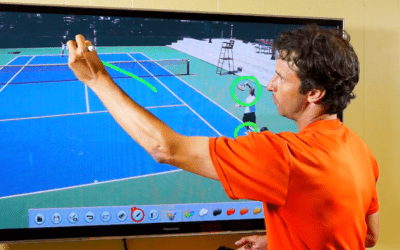 Don’t worry too much about your serve position tipping off your opponent. For one, I believe hitting a good serve is far more important that obsessing over disguise. And secondly, you can still hit an effective serve up the T from out wide, so you can feel free to mix things up from time to time if you’re concerned about keeping your opponent on their toes. It will be much easier for you to create more sidespin on the ball if you move your toss over to the right. This will let you carve around the ball and get the ball to move away from your opponent. 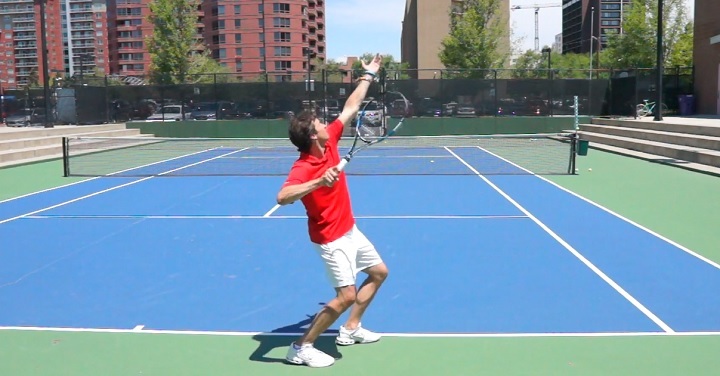 If your toss is too far to the left, you’ll often end up with more topspin, instead of the slice serve sidespin you want. Another little known tip for developing a wide slice serve is to actually adjust what your hand does at the finish position. At the end of your motion, you should curl your hand so that your palm is facing towards the sky. This curl will help you gain more spin (slice) and control. In addition, make sure to bring your shoulders around so that they face more towards the side fence than the net. 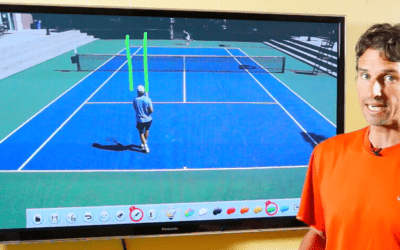 This will ensure that you get the most carve possible on your wide slice serve. 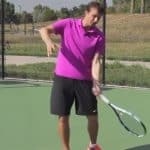 If you’ve tried these tips, and you still can’t quite figure out how to hit a wide slice serve, then this powerful drill may be the key to finally unlocking that wide slice serve that keeps on alluding you. Stand way out wide, almost in the doubles alley, and hit side arm serves. Toss the ball so far to the right, and lower than normal, as you carve around the ball with more of side arm swing. Don’t worry too much about where the ball goes while you’re exaggerating this feeling. Instead focus on getting more slice on the ball. 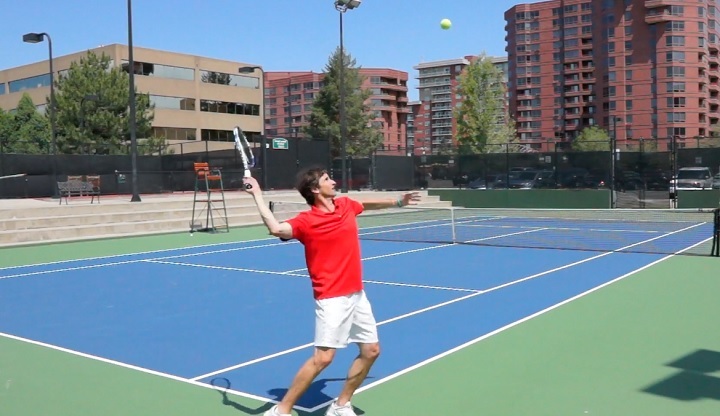 I hope you’ve found these little known tips on how to hit a wide slice serve helpful. 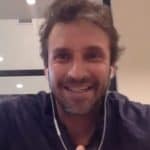 I’m confident that if you combine the secrets shared above, and practice this drill, you’ll soon develop a wicked wide slice serve that’s sure to frustrate your opponents in no time flat. Rafael Nadal Wins In Davis Cup!